To find doctors easily and efficiently is very important as we may want to opt for someone whom you can trust blindly anytime, all the time. This is because your doctor will be taking up the responsibility of overseeing your health and well-being. This task is not always an easy one though, especially if you are a new resident of a community, city or state. How do you ensure that you find out accurate pieces of information about the doctor? Is the doctor reliable and reputed enough to become an integral part of your life/family? Although it is true that most doctors are competent, professional and humane, some of them are not. Thankfully, there are many ways to ascertain a doctor’s reputation credentials as long as you are sincere in your effort of putting in the required amount of research. In your attempt to find doctors close to you or near your resident’s vicinity, it is always a good idea to seek credible recommendations from your friends, extended family, colleagues and neighbors, among others. However, that is just a good start and not the only means of finding out information. In the end, it is going to be you who needs to take a call on which doctor is best suited to the needs of your specific situation and family. Your medical/insurance plan might limit your options to a select few plan-approve hospitals/clinics/doctors or may offer incentives to make use of plan-affiliated doctors. It is a good idea to check the terms of your insurance to ascertain whether it will cover your visits to the doctor you plan to select. In case the doctor will not be a part of your medical scheme of things, then you may want to consider how much you will pay from your own pockets for visiting the doctor. While deciding on the different medical plans offered by your employer, ensure that you select the physician first and then the health plan which includes your visits. This is also an important component in your search to find doctors. After short listing your preferred choice of doctors, you can narrow it down further. To find doctors who are best suited to your needs, it is helpful to note a few categories of doctors such as Primary Care, General Physician, Pediatrician and Family Practice. Family practice doctors are those have an expertise in treating patients belonging to all age groups, including the elderly. They also cover a vast range of conditions and also treat difficult ailments for which you would typically meet a specialist, for instance, sports injuries. Physicians in the General Practice category are similar to family practice doctors. They can also treat patients of any age and gender. Under this category however, you will also come across doctors who practice alternative medicine and place special emphasis on one’s musculoskeletal system. 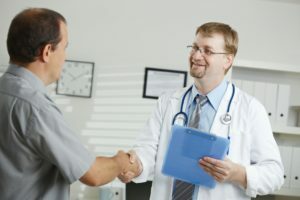 In you endeavor to find doctors, make sure that you initiate a face-to- face, personal visit to the selected doctor to develop a comfortable rapport with them. It is critically important to establish a respectful, comfortable relationship with both the doctor and their medical aides. How much in advance are you required to schedule a medical appointment? How long do you need to wait to meet the doctor after arriving at the office? Ask yourselves these questions and get them answered honestly and accurately. You may also want to discuss your past and present medication history to be on the same page as your doctor so as to prepare a long term plan for managing chronic ailments, if any. At MedDNA, we are committed in our approach to help bring doctors and patients together in a smooth and meaningful manner and pursue a mutually beneficial relationship. We empower patients to make healthcare a priority and empower them to select the right physician at the right time at the right place using our smart, technologically advanced model. MedDNA is mobile and web portal for doctors and patients which helps in digitization of clinical process. Patients can search doctors easily, book appointment online, maintain health documents and prescriptions( EHR) whereas Doctors can use it for writing prescriptions, managing appointments, to connect with patients, review their health documents, etc.